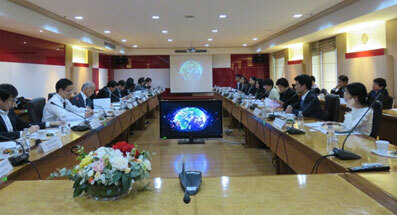 From February 6 (Tue) to 11 (Sun), 2018, we held the IP study tour in Bangkok, Thailand. 10 people from companies or law firms participated in this tour and we got the feedback that it was very good opportunity to visit and exchange opinions with the persons in charge at each organization which is difficult to visit generally. At each organization, we got warm welcome from them. We believe this tour was fruitful for the both of participants and each organization. 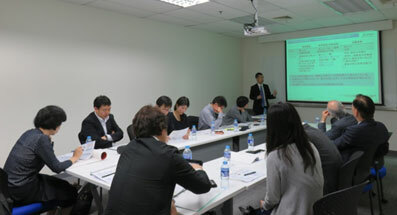 The president of S&I International Bangkok Office gave a lecture about IP situation in Thailand with specific examples. IP Specialist for S.E. 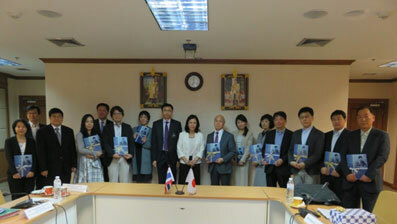 Asia of JETRO Bangkok gave a lecture about IP situation in Thailand and South East Asian countries. 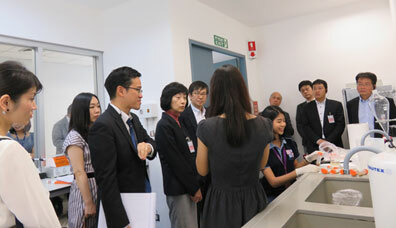 We exchanged opinions with Director General and executive officials like Director of Patent Office, Director of Trademark Office, etc., and visit IP IDE Center (Intellectual Property Innovation Driven Enterprise Centre), and Reception of filing applications. We exchanged opinions with Chief Justice and Deputy Chief Justice, etc., and sat in on examination of a witness and visited the library. We exchanged opinions with Expert on Investigation and Suppression and other officials of Investigation and Suppression bureau, and looked on the seized counterfeit products at IP Museum. 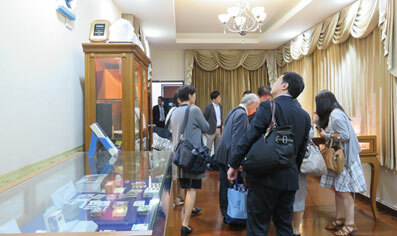 We exchanged opinions with Director of Technology Licensing Office, and other researchers and visited National Metal and Materials Technology Center (MTEC) and National Nanotechnology Center (NANOTEC). 7. 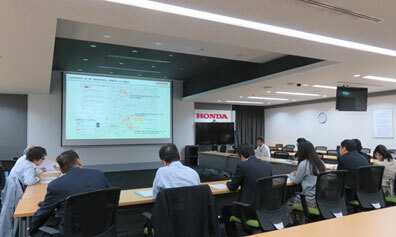 Feb. 9 (Fri.) PM　Asian Honda Motor Co., Ltd.
We exchanged opinions with the Japanese person in charge of IP matters in Asian area with many cases faced as Japanese company which expanded its business to Thailand and other Asian area.